Blush is one the most essential items when it comes to makeup. It gives the face light, color, softness and freshness if applied well. So it's truly important to know the perfect shade, technique, and type of blush that fits most our skin. Every makeup brand has hundreds of different shades and generally 5-10 of them can work well with one skin color so it's not that hard to find an appropriate shade. One of the oldest tricks to find the right shade is to bend down, touching your toes for two minutes and stand up; the color your cheeks get is the color your blush should have. However, when talking about type, there are usually 4, and knowing the one that our skin approves the most can make a huge difference in our overall makeup look. Those types are powder, liquid, cream or gel. The powder blush is the easiest to use, and it works better on oily skin. The liquid and cream blush work better on dry skin as they have moisturizing ingredients that help the skin stay hydrated. The gel blush is perfect for combination skin as it has ingredients that can tone down the oil, while keeping it soft and balanced. Applying blush is also key to the final look. It is usually placed on the apple of the cheeks, but depending on the face type, it can highlight the bone structure or the area close to the ears. It's about looking into the mirror and finding the perfect place where the blush compliments better your face. 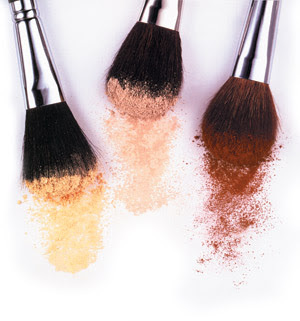 Misusing blush can be unflattering, so when you have overused it, you can hide it with a bronzer or regular powder. Blush can really change the entire appearance of your face. It has always been my favorite cosmetic, as it makes every face look feminine and pretty while still looking natural. So what's your favorite brand/type/shade when it comes to blush?